Exceptional piece of real estate in Otto NC. 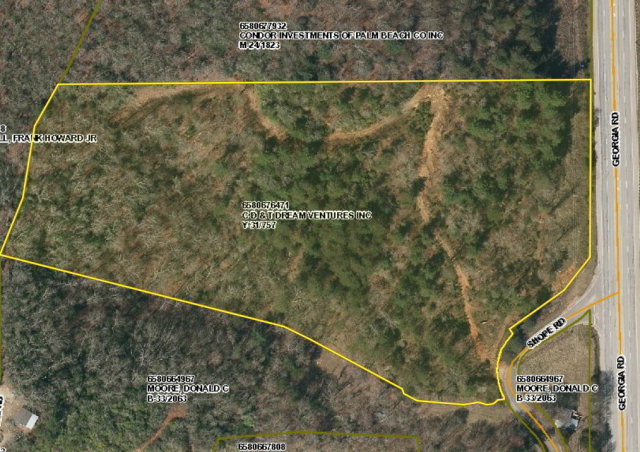 Total of 11.40 acres with 2.7 acres of Georgia Road frontage. This land has been subdivided but not registered (Cliff View Acres). There are 7 lots with the largest being 1.63 Acres. Road is cut in and rocked. This property does have restrictions on it that can be removed at closing. Great for a mobile home park, home development, or single home executive estate. Nice views and located half way between Clayton, Ga. and Franklin NC in OTTO NC.